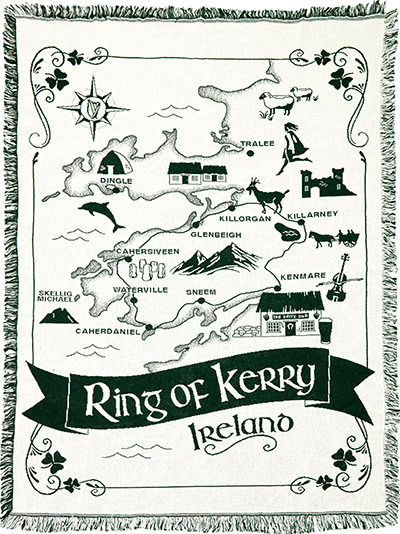 Loominations exclusively introduces custom Throw Blankets to Ireland. 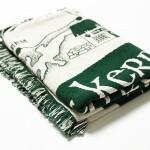 Create your own Throw Blanket for your business, organisation, sports team, groups or for whatever purpose you like. 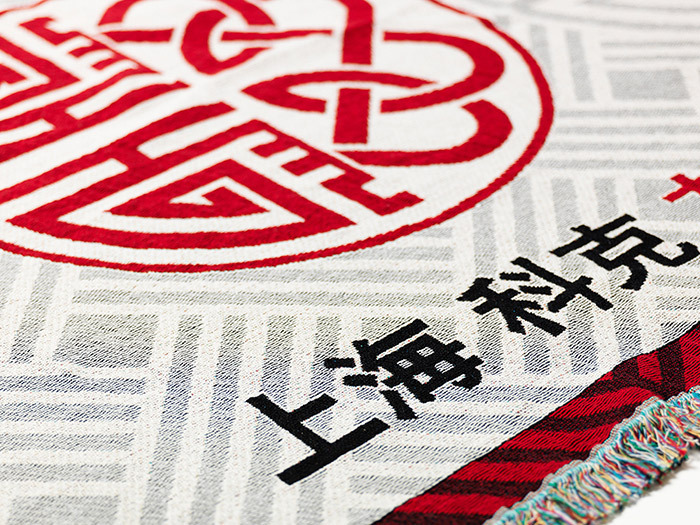 We can weave your organisation’s identity into a Custom Designed Throw Blanket. 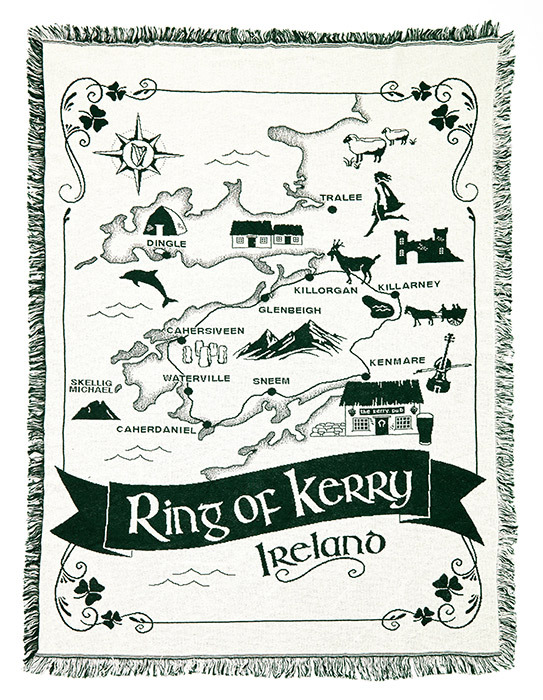 Your Throw Blanket can include a design of your logo, landmarks and images. 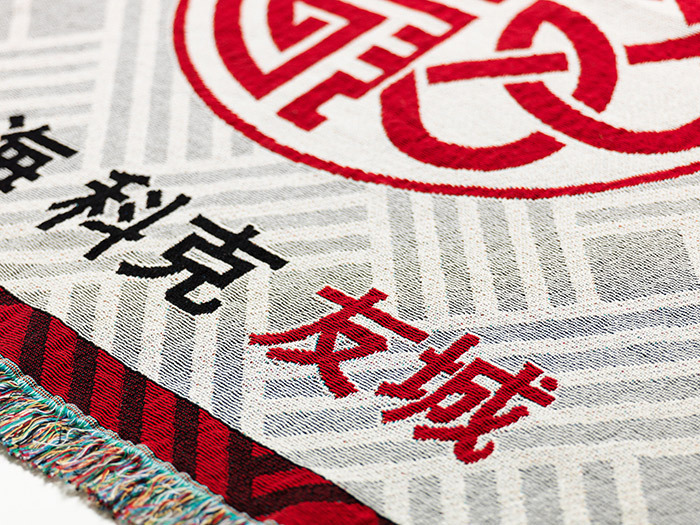 Your one of a kind design will keep your brand in use and on display for years to come. 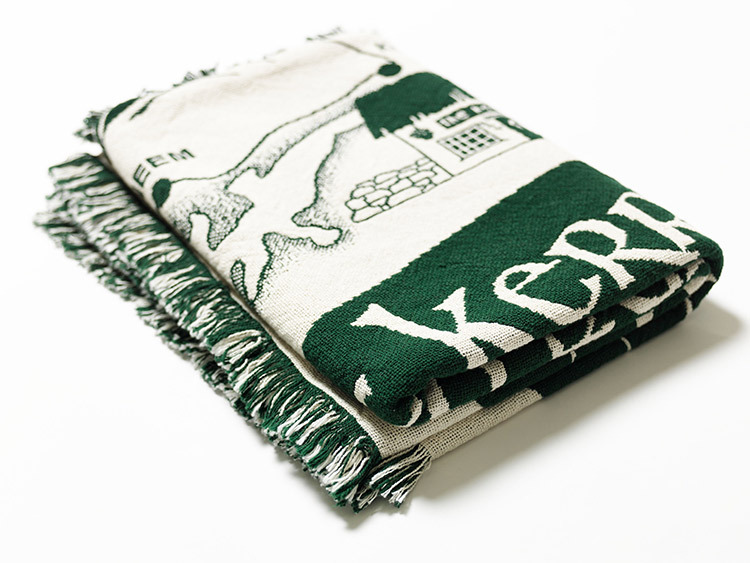 The Throw Blanket makes a great company keepsake for your important stakeholders. 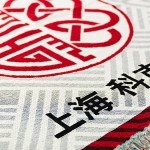 Our team will work with you and support your, in order to transform your message into the design. 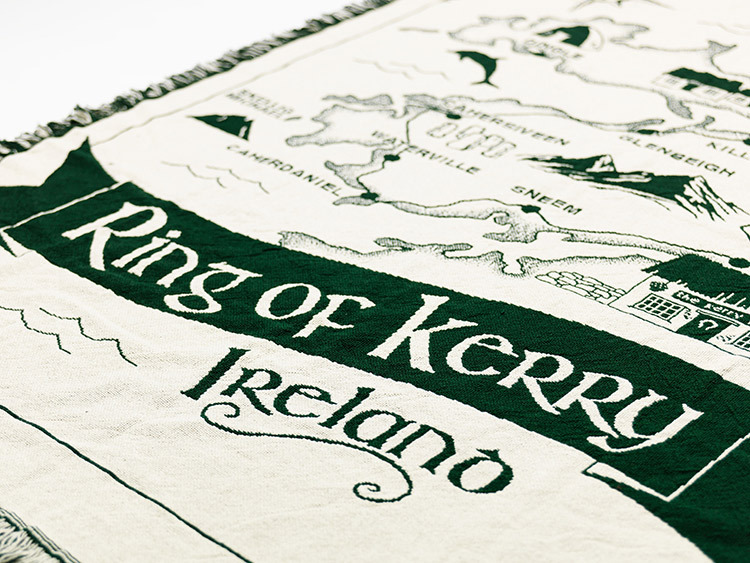 A bespoke blanket is perfect as a exclusive retail product, corporate gift or fundraising tool. 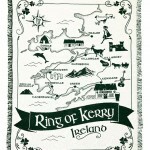 Custom Designed Throw Blankets are already hugely popular in the U.S. and abroad. 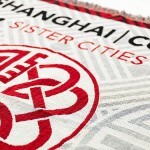 Bespoke and company branded Throw Blankets have been commissioned by thousands of companies, universities, charities, sports teams, clubs, civic groups, and cities. 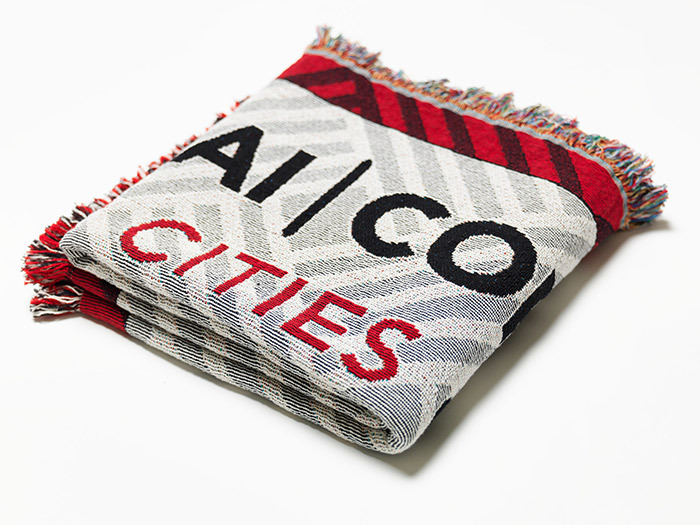 Custom Designed Throws are a unique and profitable addition to gift shops and online stores. 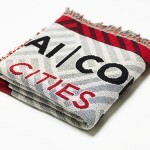 Why not commission a truly warm and practical gift item that reinforces your organisation’s identity on a daily basis? They are great conversation starters! 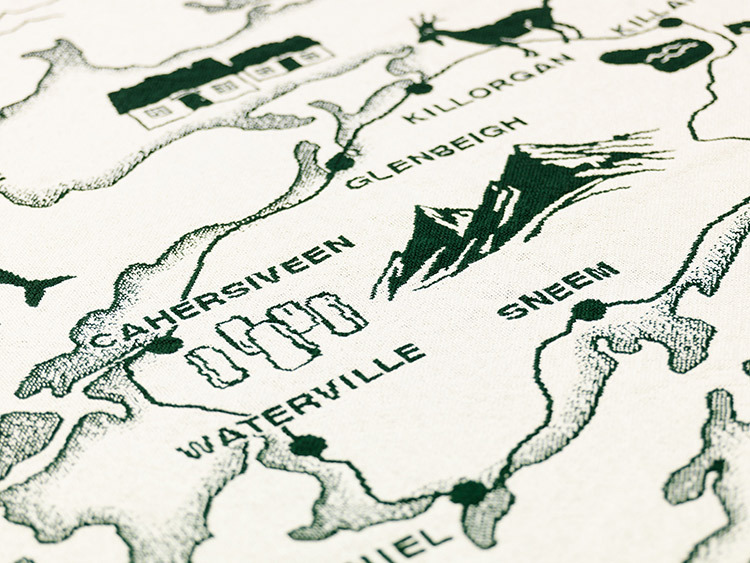 Please email us at info@loominations.ie if you would like to start a conversation and learn more about Loominations Custom Design. Here are just a few samples from our clients. 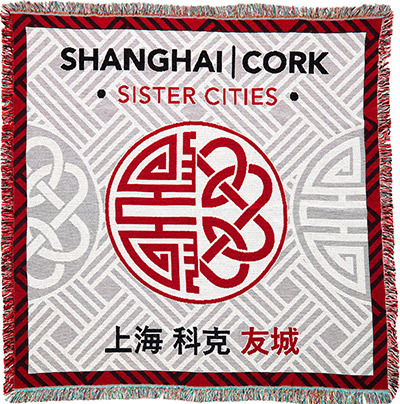 Cork City Corporation asked Loominations to create a custom throw blanket. 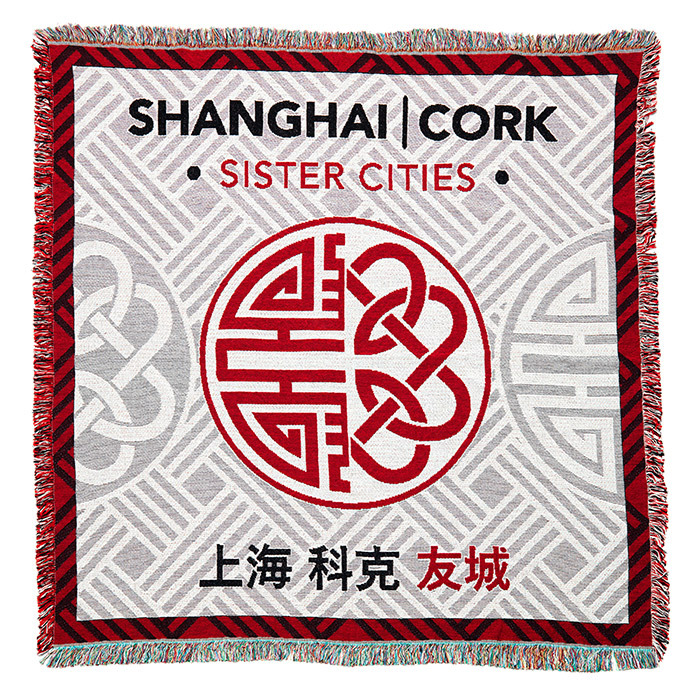 Cork City Corporation wished to celebrate the flourishing relationship with its ‘twinned’ city of Shanghai. 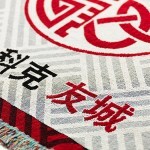 Their Custom Design Throw Blanket is elegant, durable, and practical. 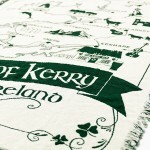 It is beautifully light weight and easy to pack. 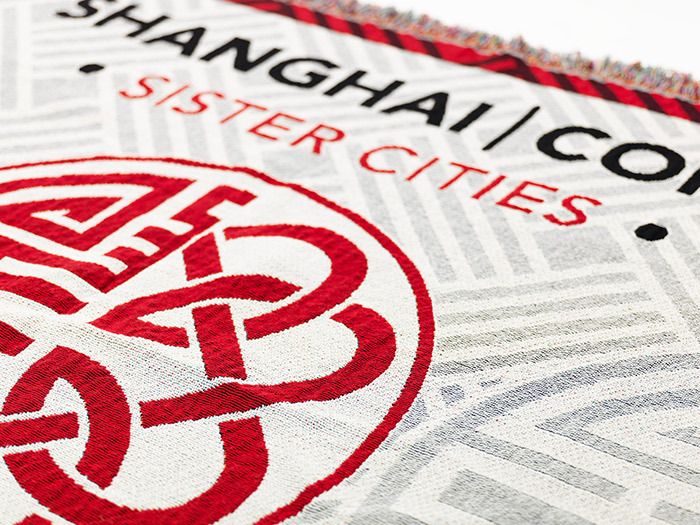 This Custom Design has been commissioned as a gift for business and cultural visitors from Shanghai. 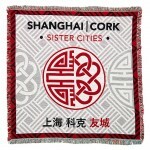 The Throw Blanket is gifted by travelers from Cork visiting China. 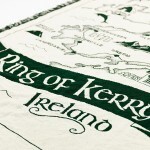 ‘Custom’ is the key word in Loominations Irish Custom Throws. 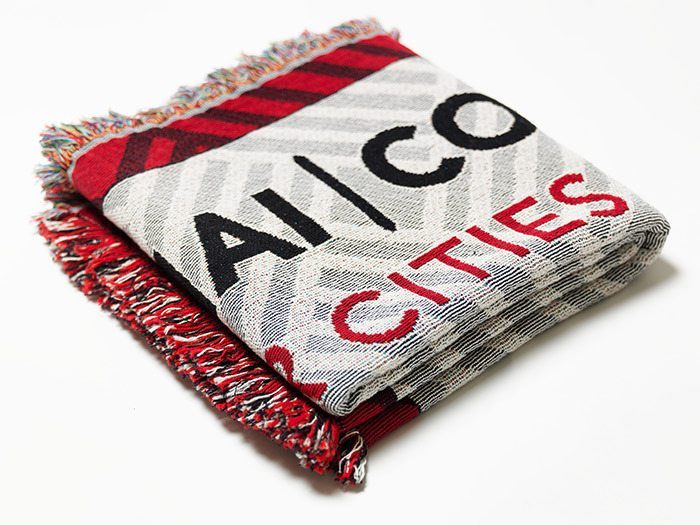 We’ll work with you to design an exclusive throw blanket for your organisation or area. 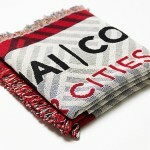 Our minimum order for a Custom Throw is 50. Please note better value is achieved at 100. 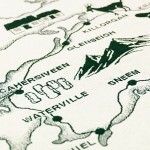 Please email us at info@loominations.ie if you would like to start a conversation. 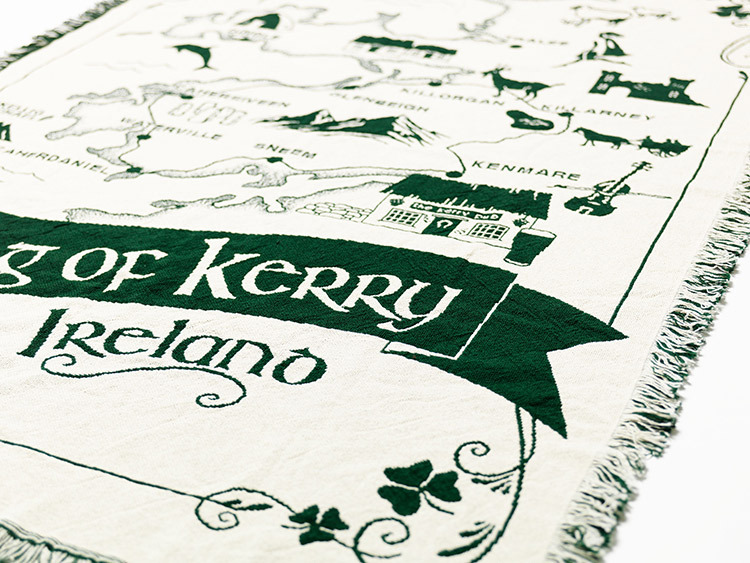 The Blarney Stone Custom Throw is beautifully designed, capturing Blarney Castle and Gardens.